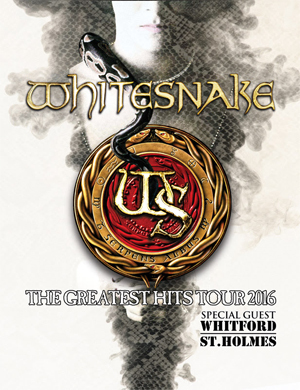 WHITFORD ST. HOLMES, the project featuring AEROSMITH guitarist Brad Whitford and former TED NUGENT vocalist Derek St. Holmes have been announced as the direct support act for WHITESNAKE on their upcoming North American tour. All confirmed dates are listed below, with more to be announced soon. WHITFORD ST. HOLMES released a new disc entitled Reunion, which is currently available only at their shows, but is expected to be released everywhere in April.